Made in Japan, you can use it without any problems, it has become so smooth that the rotation is noticeable. it's recommended. This review is about item#34727192. After all it purchased bearing of relief. I want to use it from now on. This review is about item#34727174. It is a good thing without any problems I think that it can be used forever because it is made in Japan. 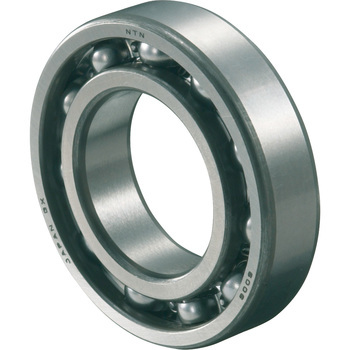 This bearing is perfect for engine rebuild. It is half price compared with hardware shops and HC. I will make progress as I change my total without hesitation. This review is about item#34727183. Because it is a trusted manufacturer, this time also used. No problem. I'm thankful that you can easily get what I want. Quality is also no problem. It is saved that it is possible to obtain working time without wasting it immediately when it is necessary. Because things are reliable manufacturers. This review is about item#34727287. Used for wheel bearings. The C3 gap is handled a little but it is inexpensive as the genuine parts and I always use it. This review is about item#34727156. I bought it because it is cheaper than genuine parts, but it seems that only 6304 C 3 is a domestic product with a plastic bag. There are mutual appearance and domestic products purchased elsewhere, there is no stamp at all. It is fatal if there is a difference between the left and right parts that turns more than 10,000 turns. I will repurchase other maker items. NTN products will not be purchased from next time. Because it is a maker item it can be used without problems! I am satisfied with the quality and price. I am using it in the past. This time it is a brand of trust purchasing without hesitating NTN bearing. Cost performance is also good. Used in crankshaft bearings. Although it was unknown whether the old part is "C3 clearance", it can be used without problems. It was good to purchase at a lower price than genuine parts. I used it for the crank gearbox of the Yamaha scooter Majesty 250, but the sound is also quiet and comfortable. Since it is a maker item, there is no need to say quality. It is saved because it is cheaper than genuine parts of the bike maker. It is considerably less expensive than genuine and the delivery date is quick.